Public tours of the Southwest Training Center in Oceanside, California are offered on the third Thursday of every month at 1:30 p.m. The tour lasts approximately one hour and consists of a brief video, a docent-guided tour, and a training demonstration. Reservations are not required. For groups of ten or more, please make arrangements by calling (760) 901-4308 or click here and someone will be in touch. NEW! We are now offering junior service club tours at 2:30 p.m. on select days. Please let us know when we can expect you! 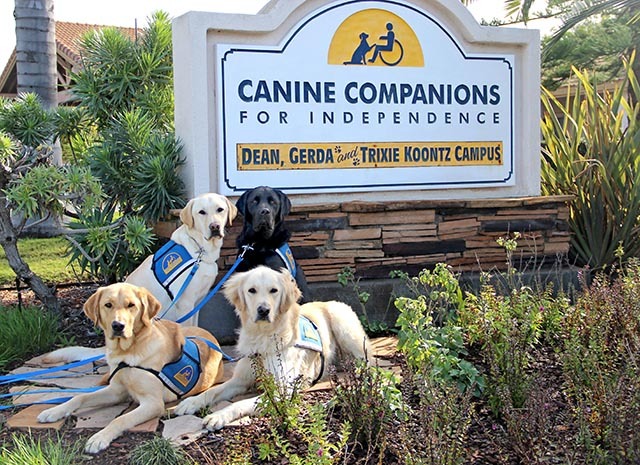 If you are not in the area, and are interested in scheduling a presentation by a Canine Companions representative for your group, organization or company please click here and someone will be in touch.